Since 2007 Speak-A-Message has been offering the widest range of features related to voice recording and voice email. With version 10 the photo viewer (View & Record) has been improved considerably. Try it now! 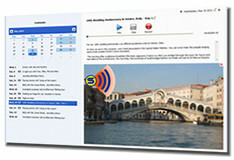 Easily create personal voice messages and insert photos, screenshots and eCards. Your messages can be transcribed automatically from speech to text using speech recognition (not available on Windows XP). Not only can you share your voice- and photo messages via email or upload them to the cloud. Audio files are suitably compressed and photos are resized automatically to avoid overloading your recipient's inbox. 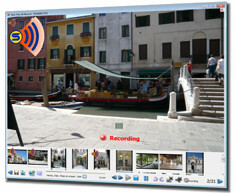 Enrich your photos by adding personal voice comments, create slide-shows with audio and share via email or the cloud.